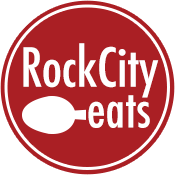 Since we started Rock City Eats in September 2013 one of the most common, and so far unaddressed, questions that we get is how can a person maintain a foodie lifestyle and not weigh 600 pounds. The honest answer was most of us do not balance the two well and there is no magic bullet answer to give. I am increasingly convinced though that this is a topic we need to cover, a healthy lifestyle is important to the food community and the two concepts do not have to be as at odds as we make them. Over the next few months we will start a conversation with some of our writers and contributors, as well as people we know in the food community. These will not be the typical glorified success stories, we are taking people from different places in their fitness journey and showing successes as well as struggles. My own story is fairly early in the process. For several years I’ve gone back and forth with going to the gym and lower calorie eating. Nothing seemed to have a lasting effect. 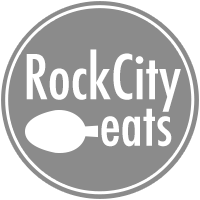 I also can’t tell you how difficult it is to eat healthy and do menu previews for great local restaurants, or amazing 5 to even 10 course dinners from the best chefs in the state. It is nothing to complain about for sure, I love eating great food and spending time around talented chefs. Over time though I felt my energy going down, which is not a good thing for someone like myself who likes to stay busy. I got tired of feeling awful most days, but I was completely unwilling to give up eating well. Late last year I got an interview request from a now close friend Collin McReynolds. She runs a healthy meal prep service called Crave and wanted to get the word out. After a few meetings and some photo shoots for products I fell in love with the philosophy and thought that she and her partner Rene Hooper put into their cycle of clean eating and exercise. We ran the article and Collin, Rene, and I continued to talk frequently. Rene, along with a degree in nutrition, also started her own crossfit gym in 2014 called Align Health and Wellness. She encouraged me several times to get out to the gym and finally I caved and did it. Crossfit has interested me for several years, but the people seem way more fit than me and completely insane. If you have ever been to a traditional gym, you know that the overly fit people tend to look down and mock those who are not quite there. The thought of being in an intimate class setting with those was a turn off. Every negative complaint I heard about crossfit tended to revolve around bad trainers. It seems crossfit as a whole is not strict on their trainer guidelines so there are certainly a few bad ones out there. Rene really geeks out on proper techniques and science behind everything, which is part of the reason I finally decided to give it a go, despite much complaining. I never thought I would fall in love with working out. My previous experience was popping some earbuds in and running on a treadmill until I got bored (which is around the 20 minute mark). Yes there are a few people who take crossfit very serious, but what I found is that those people are not judging at all, in fact they are supportive. The classes end up like a small family. There are typically 5-10 people in our 8:30am class and everyone is on a different level of fitness. We work out for an hour, which is much longer than I ever did before. Each class is led by a trainer and is really more like a personal training session than a group workout. Rene focuses on individual needs of each person, and keeps the class sizes small to make sure that everyone gets one on one coaching. The best part about it is that everything is balanced with nutrition. Through nutrition coaching I found that eating fewer calories was actually hurting my overall health, and most of the things I was eating were amazingly unhealthy. We put together a plan that would allow me to indulge occasionally with some of these great meals and eat the right ways the rest of the time. I decided to pick up meals from Collin and Crave to supplement the times I was not eating out. It is entirely addicting. I find myself craving the workouts on days where I have to miss out for whatever reason. Mostly though it is the first time as a foodie that I feel happy with myself. I still eat great food, drink some amazing local beer, and have new friends that I enjoy being around. I still have a long ways to go though, which makes everything oddly more exciting. If you want to try crossfit with me, I’ve talked Rene into allowing me to offer one week free for new people. Come in and struggle through it with me, especially if you have been frustrated at the gym before. I think it is important for the food community to get healthy and establish an active lifestyle. Is crossfit the only way? No, in fact we will keep hearing different ways foodies and chefs work to get healthy. As a foodie you already care about the quality of your food, where it comes from, and how it tastes. Now it is time to start caring about the nutritional value of the food, which quality food is already better. Next it is time to care about the body you put the food into and keeping it healthy.